Friday the 13th franchise and as Victor Crowley in all three 'Hatchet' films. Hodder will not only act in the film in a role that producer Matt Chassin describes as "pivotal," but also has signed on as Stunt Coordinator. Producer John Blythe describes the move as, "the next step in bringing huge iconic horror talent to Witchula." 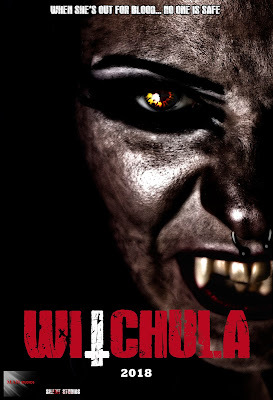 'Witchula' is a co-production of US based MAB Studios and the UK's Silent Studios, and will be filmed internationally. The US scenes will be directed by writer/producers Marcus Bradford and Pat Kusnadi, while the UK scenes will bring on Silent Studios' Jason Wright as special guest director under the direction of Bradford and Kusnadi. Wright says Hodder is not only a talented icon, but, "is such a nice and humble guy," and, "we're all looking forward to working with him in the future." 'Witchula," combines several sub genres as the producers have promised to give the horror fans what they want. Witches, werewolves, vampires and more will be featured. Kusnadi sums it up by saying," This is a thrill for us to have such great talents from iconic horror actors who portrayed iconic horror characters. This is what the worldwide horror fans deserve. They deserve the long awaited film that can be proudly called as the real expendables of horror." Marcus Bradford goes even further promising casting is not done, "More coming your way, horror fiends!!!"